After lots of dreaming about all the things I could make if I had a sewing machine, I’m pleased to share my first make with you. 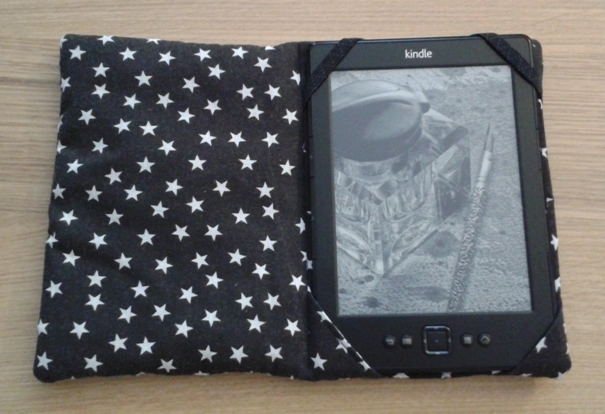 I recently received a Kindle and since one of the main attractions is its portability I wanted a cover to protect it in my bag. Pretty much all the covers I could find for sale included leather of some sort (meaning I wouldn’t buy them as I’m vegetarian), so I decided to try designing and making my own. 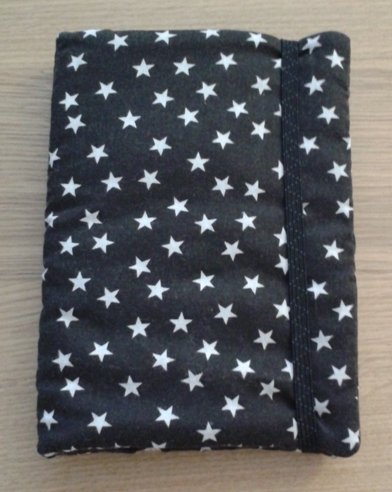 The fabric is a really cheap poly cotton from Goldhawk Road, with interfacing applied to give it a bit more structure and then wadding used to help protect the Kindle. 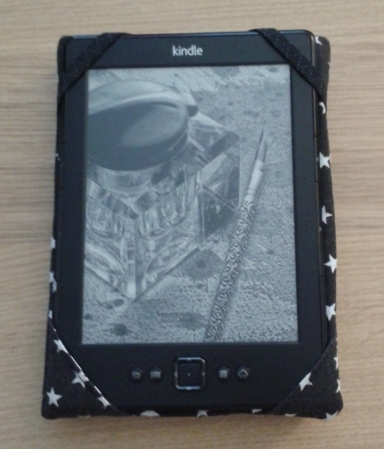 Elastic helps to keep the Kindle in place (but also easy to remove) and the cover closed. Added bonus is that the Kindle is more comfortable to hold while in the cover. This was a great first project for me as it is quite simple sewing (lots of straight line practice! ), a very manageable size and instantly useful. What a great little make! Love the star fabric too.